Google’s Project Tango, the prototype smartphone packed with sensors so it can learn and sense the world around it, is heading to the International Space Station. Two of the Tango phones are due to be launched to the ISS on the upcoming Orbital 2 mission, which is scheduled to launch in May and take supplies to the station. The phones will be used as part of a NASA project that’s developing robots that could one day fly around the inside or outside of the space station, or even be used in NASA’s planned mission to land on an asteroid. Work on the robots is already going on at NASA’s Ames Research Center in Silicon Valley, and this week the space agency let a small group of reporters visit its lab and see some of the research. Three Spheres satellites float inside the International Space Station. The phones, which are being supplied to a limited number of developers at present, were unveiled by Google a month ago. They include several cameras and infrared range-finding so the phone can build up a three-dimensional model of its surroundings—a significant difference from current handsets that can see only a two-dimensional world through a single camera. Technically an 18-sided polyhedron, each Sphere is about the size of a soccer ball and self-powered. They can free-fly around the inside of the ISS thanks to carbon dioxide-powered thrusters, said Chris Provencher, Smart Spheres project manager at NASA. The Spheres have already been used in developing autonomous equipment. The space agency conducted a Spheres test with a Nexus S smartphone as part of Shuttle mission STS-135 in 2011, but the Tango phones promise more capabilities. “We are researching how effective Project Tango’s vision-based navigation capabilities are for performing localization and navigation of a mobile free flyer on ISS,” said Andres Martinez, Spheres Manager at NASA. On Monday, NASA Administrator Charles Bolden saw a demonstration of the Tango-equipped Spheres during a visit to Ames. One was connected to a Spheres satellite, which was slowly gliding across a huge granite table in a laboratory. There are already three Spheres units on the ISS. Hearing that researchers are working toward a robot that would autonomously fly around the inside and possibly outside of the ISS carrying out checks, Bolden asked if the same technology could be put to use on NASA’s planned asteroid mission. The space agency wants to approach and capture a piece of an asteroid, and Bolden wondered if the work could form the base of a robot that could approach, analyze and help identify a target for the mission. That could be so, said Provencher. Researchers hit upon the idea of using smartphones in their development work when they realized the features they wanted—Wi-Fi, a camera, more processing power—were all present in an off-the-shelf device. The phones in use by NASA have had several minor modifications. The lithium-ion battery pack has been removed, the phone is powered by six AA batteries and the cellular radio chip has also been removed to put it into “the ultimate airplane mode,” said Provencher. A cover has also been put over the screen to contain pieces of glass should it be shattered. This entry was posted in NASA_JPL, Robotics, Vision and tagged Google, NASA, TANGO on March 31, 2014 by enddl22. 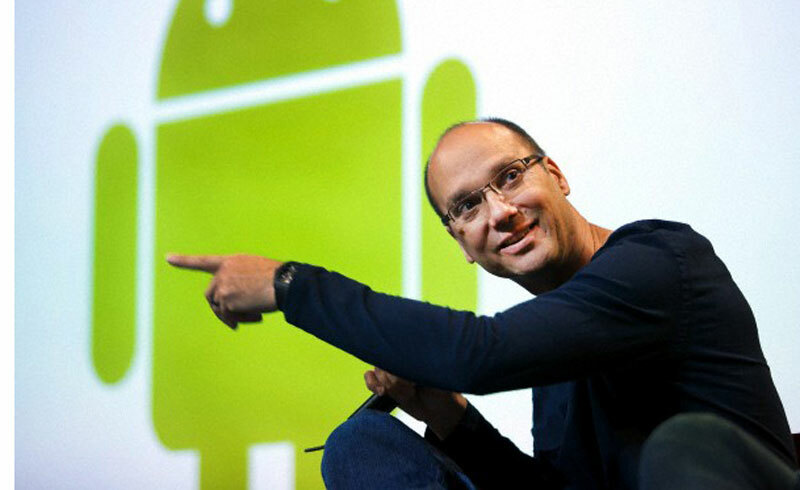 Photo: Andy Rubin, Head of Google’s Robot Revolution, former head of Android. There is much speculation about Google’s intentions with its acquisition of eight robot companies in the fall of last year. What has been missing in this speculation is just how much it has spent on the eight companies. The acquisitions of the robot companies appear to have been completed in the last quarter of 2013; they were announced in December. At the end of the third quarter of 2013 Google stated in their financial reporting that they had completed twenty-one acquisitions with a total value of $1.338 billion. They confirmed that $969 million of this was spent on the purchase of mapping company Waze. The remaining $369 million was spent on purchasing an additional twenty companies. None of these were material so the company does not have to account for them individually in its regulatory filings. Some of these acquisitions can be found online. The largest of them was Channel Intelligence for which Google reportedly paid $125 million. Then there are lots of smaller acquisitions ranging from file sharing app, Bump for $35 million, motion detector device Flutter, which cost $40 million. The acquisition of Wavii for $35 million enhances Google’s natural language technology. They boosted their cloud computing capabilities when they brought in Talaria Technologies for around $20 million, their green energy capacity with the addition of Makani Power to the Google X team for around $30 million. They also brought in some great recruits with the purchase of DNNResearch headed up by AI expert Geoff Hinton for around $5 million, and employees from the venture fund Hatter again for around $5 million. Google also bought 217 patents from IBM during the first 9 months although it’s not clear where these have been accounted for and could be expensed in R&D. This is a nominal selection of the 20 non-material acquisitions in the first three quarters of 2013, accounting for $318 million of the $369 million expenditure, but it helps establish a baseline for the cost of the robot companies they bought. Now we know that they spent $369 million on non-material companies in the first three quarters and $489 million during the whole twelve months, we can safely calculate that $120 million was spent in the fourth quarter on non-material acquisitions. The announcement of French company Flexycore for a rumored $23 million took place in the fourth quarter (end of October) and its not clear when they closed the deal for Flutter on whom they spent $40 million, as the media picked this up on 2nd October, but I’ll ‘assume’ they closed it in the 3rd quarter. Taking the deal for Flexycore off the table indicates that Google spent an additional $97 million during the last quarter of 2013 on acquisitions, the time during which they bought the 8 robot companies. It’s likely that somewhere between $50 million and $60 million of this $97 million went on the purchase of those eight robot companies. It’s fascinating that these acquisitions have created such media speculation given the nominal size of the purchase costs. Of course this is very good news for the robotic industry as it possibly increases the value of the sector in the eyes of investors, raises awareness about the advances being made in robotics and brings an important subject about the future direction of technology and jobs into the public domain. As I have said before, Google’s acquisition of robots and Artificial Intelligence technologies is anything but scary. It looks Google didn’t spend too much money on robotic companies acquisitions. But robot developments require much resource such as manufacturing, experts and spaces. The following articles might reflect what will happen next. Although we still don’t know yet what they are aiming for, but can guess attentions to robotics are increasing. This entry was posted in Robotics and tagged acquasition, Google, robot companies on February 14, 2014 by enddl22.